An organ donor card is a great way to show you’re committed to saving lives. You can carry your card in your purse or wallet as a symbol of your decision to help others. However, you don’t need to carry an organ donor card for your organs to be donated. Medical staff will always consult the NHS Organ Donor Register if your organs could be used to help others when you die. Before the removal of organs takes place, we ask your family to support your decision to donate and to provide important information about you. So, if you are signed up as a donor and have a donor card, please remember to tell your family. Let them know that you want them to help honour your decision to donate when you die. Ask them if they want to donate too. If you don’t intend to carry your card with you, you could put it somewhere prominent in your home. For example, on the fridge as a daily reminder to your family that you’re signed up as an organ donor. Many people say #YesIDonate by sharing pictures of themselves proudly holding their card on social media. 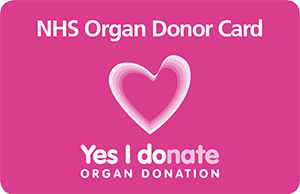 It’s a quick and easy way to tell family and friends that you want to donate your organs while helping to spread the word about the importance of organ donation. 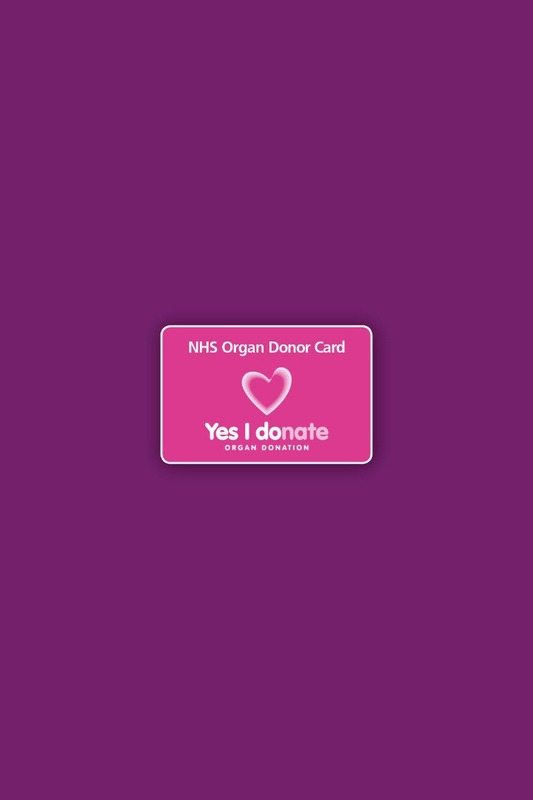 The Organ Donor Card can be also downloaded, allowing you to share your decision instantly. Text or Whatsapp friends and family to let them know you wish to donate your organs after death, and show your support for organ donation. Print your own card and fill it out. Download a wallpaper for your smartphone, and show your support for organ donation wherever you are. Welsh versions of these downloads are available on our campaign hub, Get involved. If you support organ donation, why not download a donor card that reflects your faith or belief system? Donor cards are a great way to show you support organ donation, and can be used to prompt a conversation with those who matter to you. We send an organ donor card to everybody who registers to donate for the first time. If you amend your details or re-register we don’t send you a new donor card. 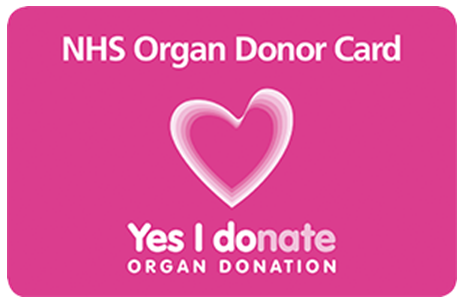 If you have lost your donor card and would like a replacement you can print your own organ donor card (pdf). Alternatively, contact the Organ Donor Line on 0300 123 23 23.